Working with multiple campuses can present many challenges, one of which is “being there”…even when you aren’t. Many times an email with some captured images is enough to guide a colleague through a rough spot with a program or device. There are times when images are not enough. A video would solve all your problems. 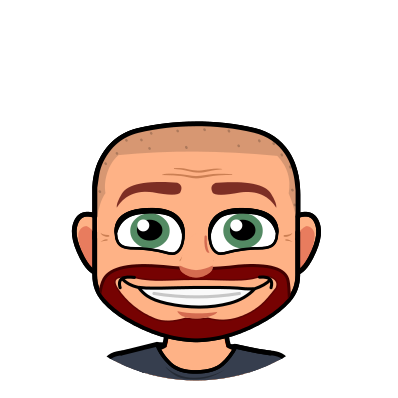 There are many screen capturing options out there, but @RobynHrivnatz pointed me toward a free, simple option that has worked very well for me: Community Clips. 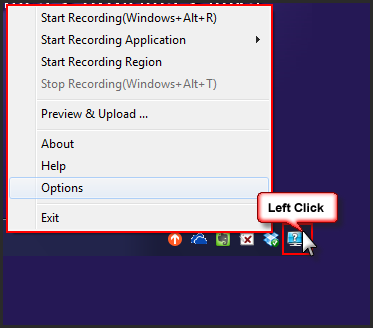 Community Clips is a Microsoft product that allows you to record all, or part, of your screen and save it as a .wmv file. It records your computer screen as well as audio so you can walk and talk through a process, then share with whomever you need. Once Community Clips is installed, open the program. It will be found in your all programs menu inside a Microsoft Office Labs folder. An icon will appear in your system tray. It looks like a computer monitor with a question mark on it. Left click the icon to display your menu. You have options to record the entire screen, record an application, or record a region of the screen. Choose what best fits your needs. A window will pop up letting you know that Community Clips is ready to record. Click OK and the icon in the system tray will start blinking red. This lets you know you are recording. When you have finished recording, click the icon once more and it will prompt you to keep recording or stop recording. 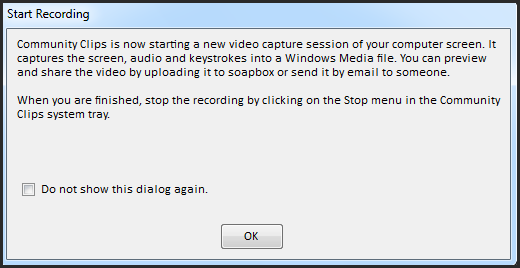 Choose to stop recording. You will be prompted to save your work. That’s it! The quality/resolution of the video is quite good. I think you will be happy with the results.